hd00:19Old aged wife and husband sitting on the sofa and watching tv. hd00:12Asian senior couple of a loving looking at camera smiling sitting on sofa at home. 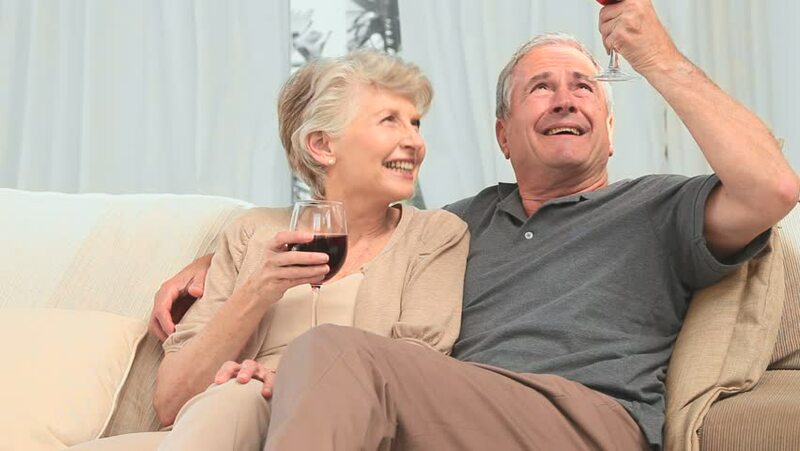 hd00:20A static shot of a happy elderly couple sitting close to each other on a grey couch. 4k00:184K Happy couple relaxing at home, watching funny TV show. Slow motion.